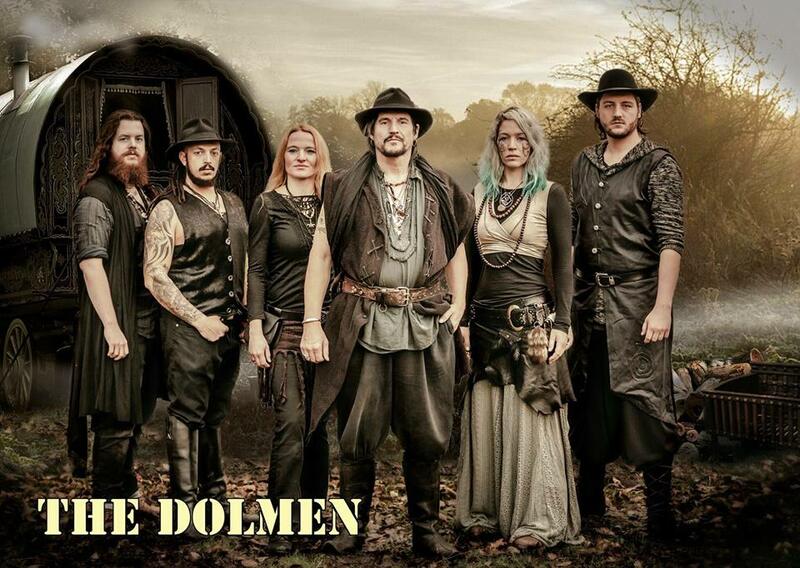 The Dolmen are a relentless organic raw Celtic Gypsy rock band born from the county of Dorset, England. Their mission has been to infiltrate the minds and souls of a growing audience with their tribal rhythms and powerful spiritual renditions. The Dolmen was founded by prolific song writer & lead singer, Taloch Jameson and after a few changes over the years, the current line up has been solid since 2010 when drummer, Chris Harris, joined to complete the experience. Josh Elliott, lead guitarist, joined The Dolmen family in 2009 and Kayleigh Marchant, bass guitar & vocals, became a member in 2008. After breaking into Europe The Dolmen then found Anja Novotny, flutes & keyboard, in 2015 and Sebastiaan Hidding on fiddle in 2018. Their latest album ‘Witches & Cunningfolk’ released in 2019 is emblematic of their success, and testament to the band’s artistic evolution and enthusiasm. The release of their previous album ‘NUADA’ has also found The Dolmen nominated in the ‘Bastaard Fantasy Awards’ for best album internationally and nominated best live act internationally, of which they won in both categories.